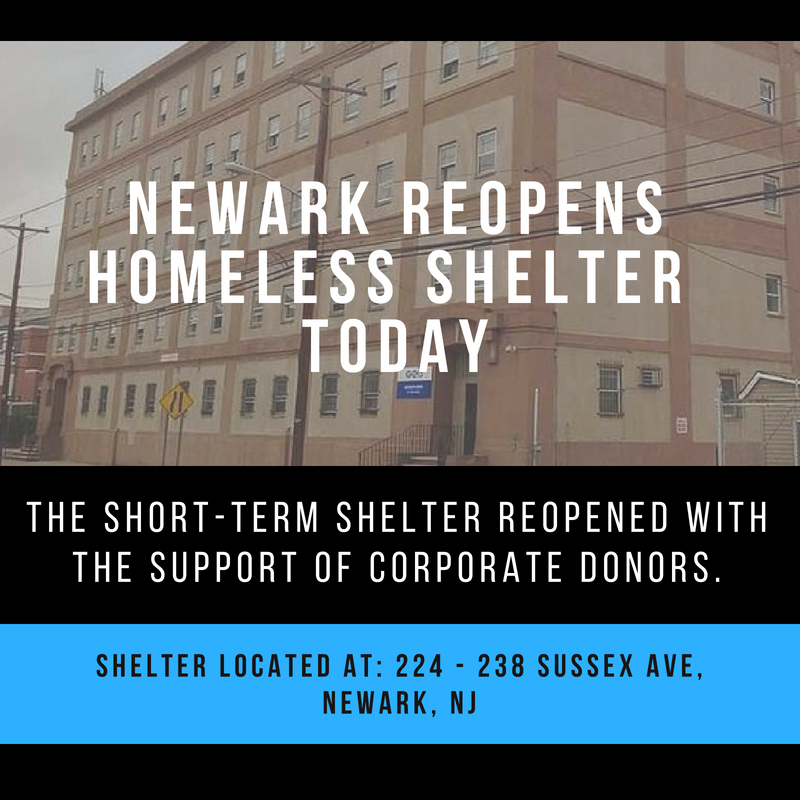 Mayor Ras J. Baraka announced that the City of Newark’s first dedicated winter shelter at 224-238 Sussex Avenue has reopened with funding from several corporate donors. The first City sponsored short-term shelter opened in December 2017 with announced plans to operate 24 hours a day through March 2018. The overnight shelter was intended to save the lives of the chronically homeless around Penn Station, the Public Library, Military Park, Francisco Park and other gathering places who faced serious harm and death from extreme cold during the winter months. Now the City has obtained a commitment of funds enabling the shelter to remain open through July and is seeking additional private sector donors to house shelter occupants for a longer period. Before the March closing date, the City extended the shelter operations and began working to develop a comprehensive plan for sheltering of the chronically homeless and their transition to permanent supportive housing. During this time the City was able to identify funding to keep the shelter open through June. Lacking the resources to solve homelessness by itself, the City's strategy is to engage city, federal, state and county government, local corporations, the Newark Housing Authority, non-profits providing homeless services, philanthropies, colleges and universities, in a collaborative effort to assist homeless individuals and families to move toward independent living and self-sufficiency. Over the past 3 months the City has placed 27 sheltered residents in other temporary housing and 9 in permanent housing in collaboration with the Essex County Continuum of Care. In partnership with the NJ Department of Community Affairs, Essex County Continuum of Care, and the Newark Housing Authority, approximately 45 additional housing slots have been identified as a result of a special state voucher program for those diagnosed with both chronic homelessness and severe mental illness. At a news conference next week, the City will reveal the identity of the corporate donors, announce an RFP for continued shelter services and discuss plans for housing Sussex Avenue shelter residents beyond July.